Celebrity Chef, Massimo Capra, reminds me of my childhood where Sunday dinners included nostalgic tales of my parent’s early lives in northern Italy - stories told over a golden, piping-hot plate of Risotto alla Milanese. 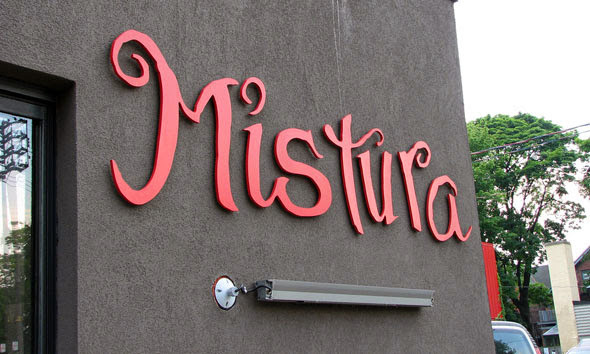 As I sit next to the chef at his critically acclaimed Toronto restaurant, Mistura, he vividly describes the Bolognese tradition of making Lasagna with Bechamel Sauce. My senses are so heightened that I can almost taste the creamy layers of this northern delicacy. The successful restaurateur and co-host of the Food Network’s Restaurant Make-0ver and Gourmet Escapes landed on Canadian soil from his native Italy thirty years ago only to find a country relatively oblivious to the enormity of authentic Italian cuisine. ‘I arrived from Cremona, an area near Milan, in 1982. Most Italians here were southerners who immigrated in the forties and fifties. The culture had already blended Canadian customs in their cooking’, he says, adding ‘my northern background was so completely different’. Before Chef Capra’s arrival Torontonians had a century-old, stereotypical perception of Italian food – generous portions of pasta with rich tomato sauce, hearty calzones and assorted pizzas. Since then, he along with other noted master chefs, have expanded the Italian cooking repertoire by introducing northern staples such as Polenta alla Griglia (grilled cornmeal), Agnolloti al Cinghiale (pasta with wild boar) and Parma Prosciutto (dry-cured ham). ‘It was very tough to get proper ethnic products back then. But we are lucky to live in Toronto with all the different ethnicities. You can have anything you want now.’ he explains. Chef Capra is an avid admirer of other cuisines. His series, Gourmet Escapes, has taken him to places such as Ireland, Iceland and Holland. However, television celebrity is not his only claim to fame. 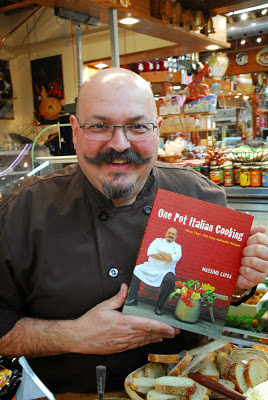 He is also author of his own cookbook, One Pot Italian. As I listen to this lively and animated Italian reminisce of his mother’s bygone culinary influence, his days studying his craft in Tuscany as well as his early years employed at several prestigious hotels in Venice, Milan, the Dolomites and Mont Blanc de Courmayeur, I am aware of his passion for tradition and culture. ‘Cuisine is an evolution of the past. It is who we are. Italy is not a place where everyone eats spaghetti with meatballs. Italian cuisine is not just three things that you see on a menu. It’s so much more’, he states. 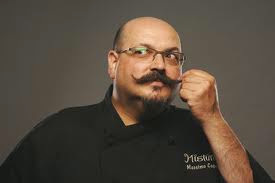 His restaurants, Mistura, Sopra Upper Lounge (above Mistura), Rainbow Room at the Crowne Plaza Hotel in Niagara Falls as well as Boccone Pronto/Boccone Trattoria at Pearson International Airport - where his is owner, executive chef and creator of all menus- are a testament to his all-encompassing Italian culinary vision. So what’s next for the tireless chef? “More shows and eventually more restaurants”, he says jovially. 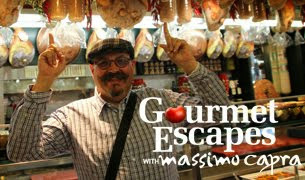 This summer he is off to Italy, travelling throughout the boot exploring small villages and town festivals for ancient recipes and culinary traditions to be aired on an exciting new season of Gourmet Escapes. Stay tuned! Everyday Cooking with Toby Brand "Cookin' Greends"